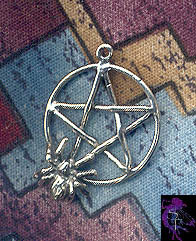 A Sterling Silver Classic Interwoven Pentacle with a 3D Crawling Spider. Spider is a master of patterns and webs. Spider creates, crafts, and constructs, and is of both Earth and Air -- its magic involves building, weaving, constructing, and gathering. 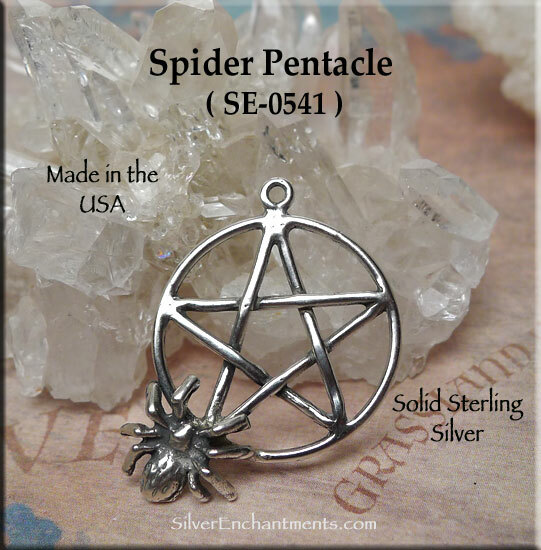 Overall Size: 28mm x 21mm = ~1-1/8" x 7/8"
Spider is soldered on by hand, so may be slightly different from pentacle to pentacle. 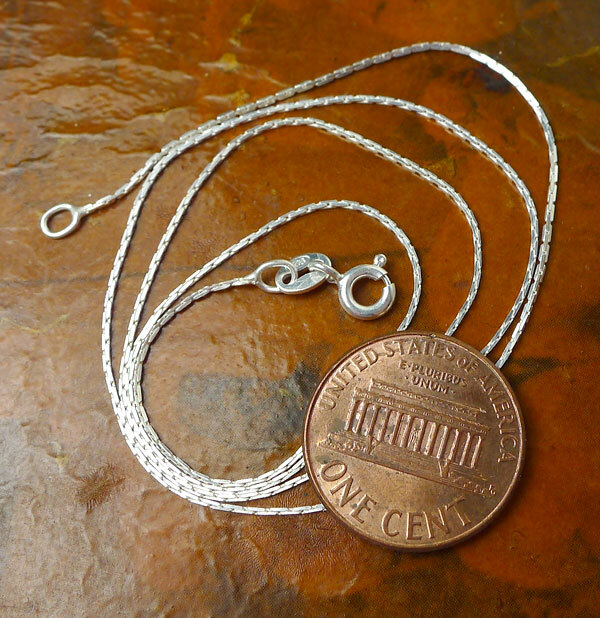 Please note that charm measurements do not include the length of any removable attachments. These will vary some, but a standard jump ring or split ring would add about 4mm (~1/8") onto the overall length.